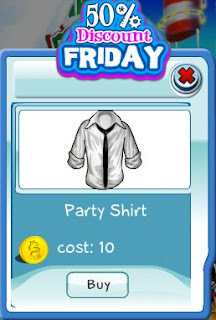 Today's 50% Discount Friday item is the Party Shirt. It's a white dress shirt with rolled up sleeves combined with a black tie, perfect for a casual party look. This offer is valid today only, so act quickly.